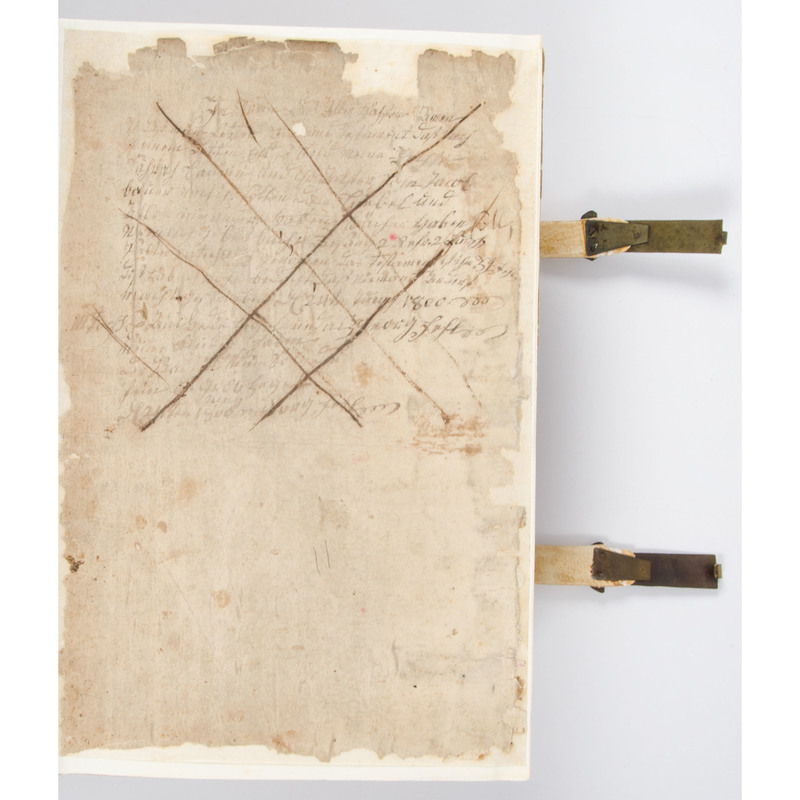 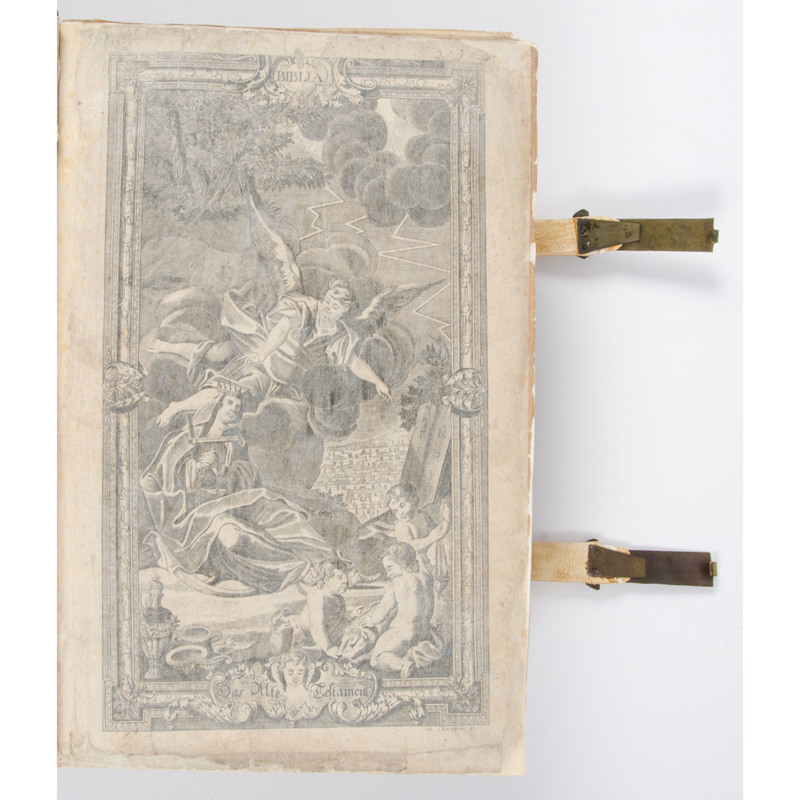 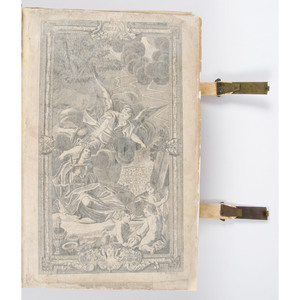 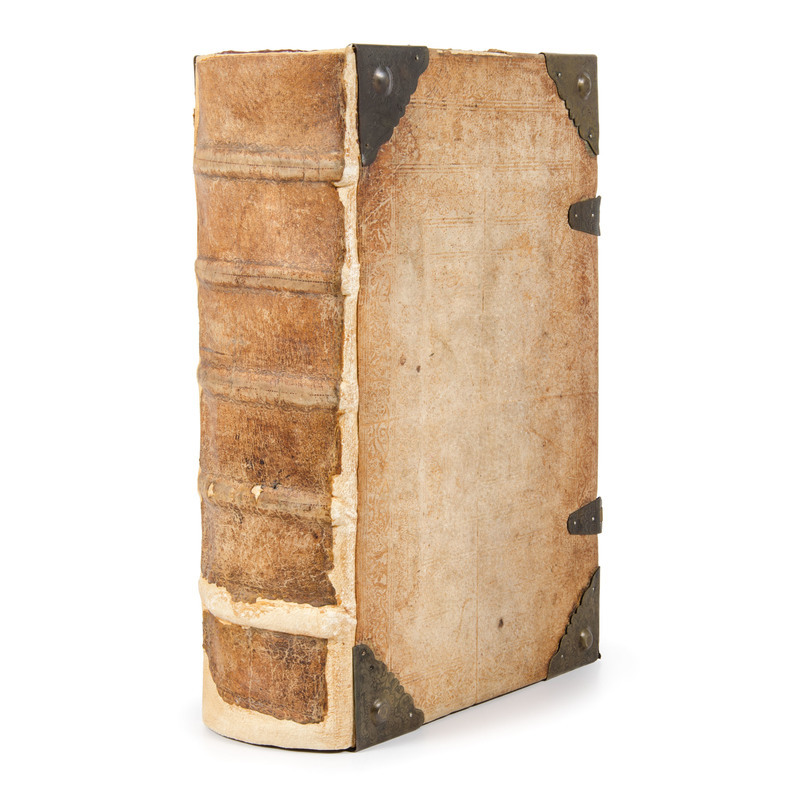 In a modern rebinding retaining the original backstrip and with new endpages and many of the preliminary and closing pages repaired and "silked," etc. 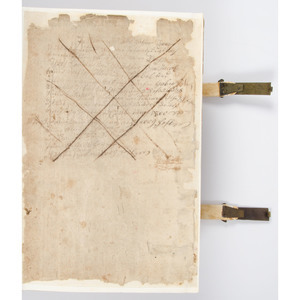 The original clasps have also been restored and now are functional. 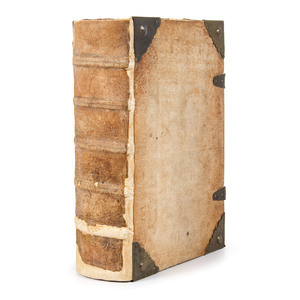 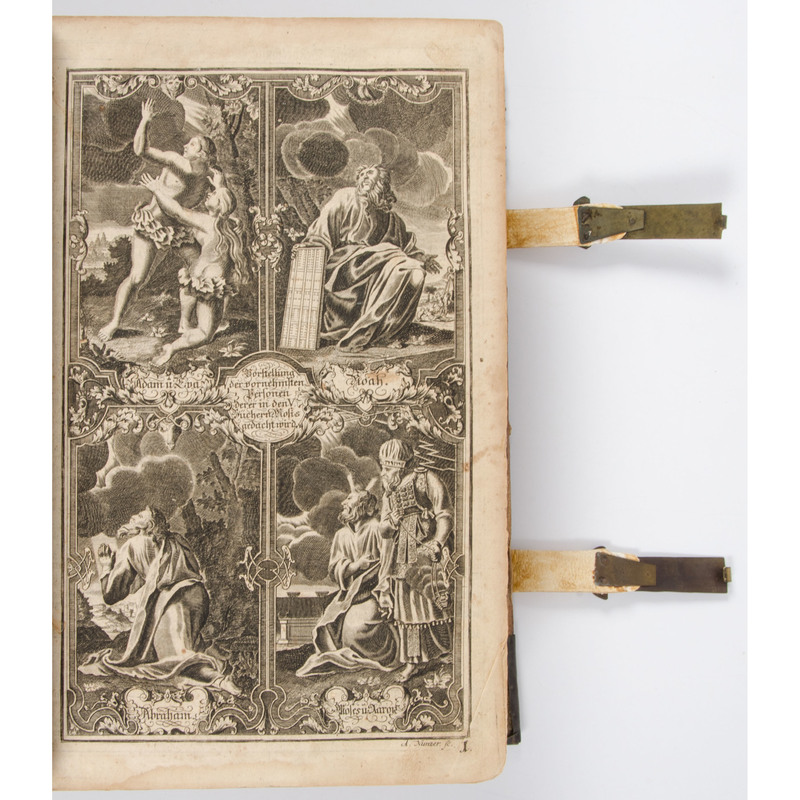 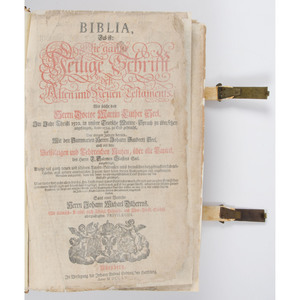 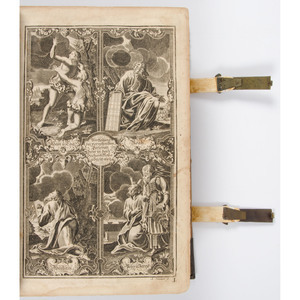 A massive 1,181 page Luther Bible with dozens of copper engraved illustrations throughout the Old and New Testaments.